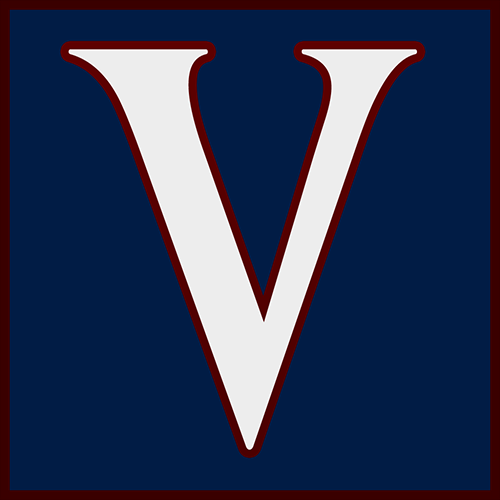 Your Clan page makes inviting Friends to VDS and managing VDS Clan simple. The page is organized into four tabs, each handling it's own unique options. The Invitations tab manages invites sent to you from other players who want to join your clan, as well as the ability for you to invite any Facebook friend to join the game. All received invitations will appear along with the sender's relevant information. It's up to you whether you want to accept or reject an invitation. You can accept or reject an invitation just by clicking the button below their name and picture. Alternately, you can press Accept All or Reject All if you want to accept or reject in bulk. 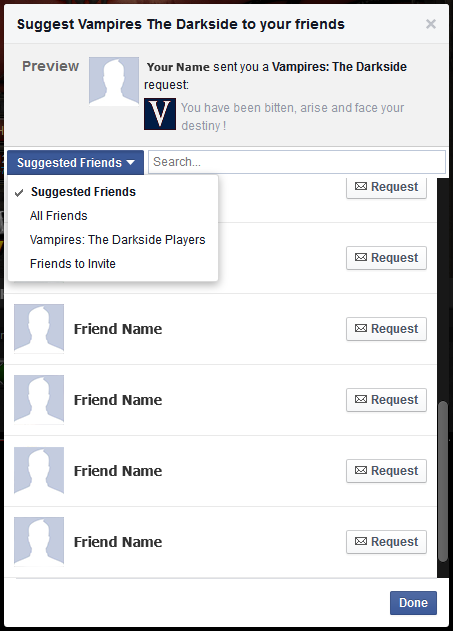 To ask a Facebook friend to join the Darkside, or to invite them to your clan, press the Send Invite button. 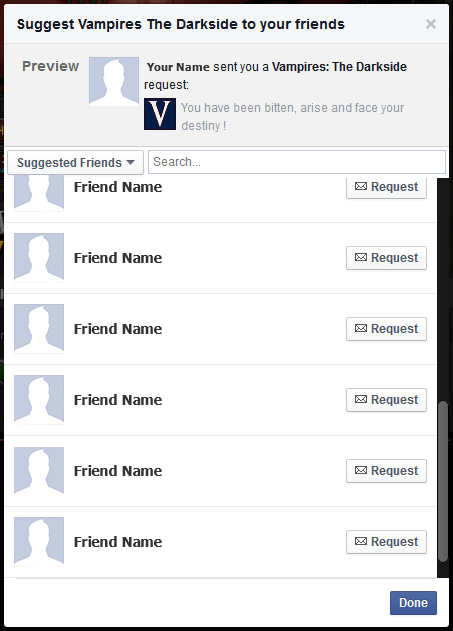 You'll be greeted with a dialog that lists friends that Facebook suggests for you. This can be easily changed by clicking on the "Suggested Friends" and changing it to the category of your choosing. The Add Darksiders tab is a convenient way to add to your clan specifically from people who are already playing the game. This tab contains a unique code called a Dark Mark. The Dark Mark is your personal ID on the Darkside, and each Darksider has one. Your Dark mark is private to you, but can be shared with others. If someone has shared their Dark Mark with you and you want to add them to your clan, input it beneath "Your Friend's Dark Mark", then press the Send Invite button. You can confirm that your invite has been sent by checking the Sent Invites tab! Use the Sent Invites tab to conveniently check on all invitations you've sent. You can also cancel any individual invitations you've sent, or in bulk by choosing Cancel All. This is where you manage your current active Clan. Here you can not only monitor your Clan member's levels, age, and bloodlines, but you can also choose to declan if you're inclined to. Note that if you have a significant number of clan, the page may load more slowly for you than others, as the data for your clan is repopulated each time you load the page. The page automatically lists your current clan by ascending alphabetic order. However, there are many filters available to allow you to search faster. 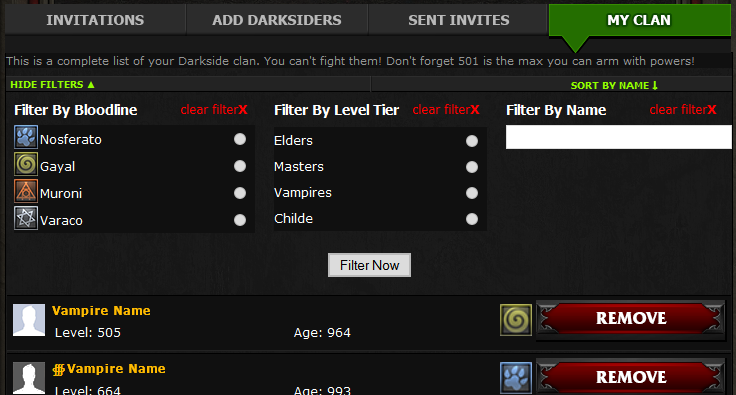 Clicking this button opens up a set of three powerful filtering tools to help you manage, find, and sort your Clan. To use this option, select the bloodline you wish to filter for and press Filter Now. To use this option, select the tier you wish to filter for and press Filter Now. Type in any relative character* you with to search for (this can be a symbol, name, part of a name, or even as few as letter combinations) and press Filter Now. *Note that pressing (keyboard) enter while using the Name filter will result in no items found. You must press Filter Now. Also note that spaces are counted as valid characters, so be sure you don't have a space before or at the end of the name you're searching for or you'll get no results. The three filters can be used independently or in combination with one another. Choose a bloodline, level tier, and even a partial name at the same time and press Filter Now. Keep in mind that in order to run a new filter a second time, you'll need to press Clear Filter in order to reset a filter. If you do not, the filter will use the last filter you selected (unless you refresh the entire page). Also note that Name filter searching can vary in load time depending on the number of Clan you have. If the number of Clan you have is large you'll have a longer wait.